For cigar connoisseurs who want to keep their favorite cigars primed and ready for enjoyment at a moment’s notice in a reliable and affordable, yet stylish desktop humidor suitable for either home or office, the design experts at Adorini have created an ideal option: The Adorini Torino Deluxe Humidor. Precision Hygrometer and Gold-Plated Humidifier that attach by magnet to a metal strip hidden underneath the humidor’s Spanish Cedar Lining for a near-perfect blending of form and function. Versatile Horizontal and Vertical Dividers with RibTech ribbed ventilation system to maximize air circulation ensuring each of your cigars is kept in optimal condition. And with the addition of Adorini’s fantastic Lifetime Warranty, the Adorini Torino Deluxe Humidor emerges as simply one of the best all-around humidor options for beginners. It is cheap. But the quality of the product is excellent. Great price/performance. Well packed and undamaged. Very good description of how to start and season. Fast handling of order. Excellent product .. excellent quality, as described on the website. Accessories included and personalised plate. I received all items on schedule. I recommend the purchase! It looks like a good product. Excellent - I'm satisfied with the product and the delivery. Instructions easy to understand and high quality workmanship! I'm very glad! Looks great, well made, keeps the humidity constant. The product arrived in good time and looks good. However, the finish on the cover isn't uniform and on the inside where the humidifier attaches magnetically, the wood is damaged. I appreciate that it works and is easy to use with the instructions provided. I bought adorini on the recommendation of my club director who is at present the best cigar sommelier in the world. I need another one but if the finish is no better than this it would be a poor purchase. Very nice. Well packaged and fast delivery. Great look. Very good humidor box. I just love it! Very well crafted, works great. At this price a surprisingly high production quality. And the matte finish is a good alternative. Perfect little table humidor! Quality is very good and keeps its promises. I don't humidify with the enclosed humidifier but with Boveda Packs! 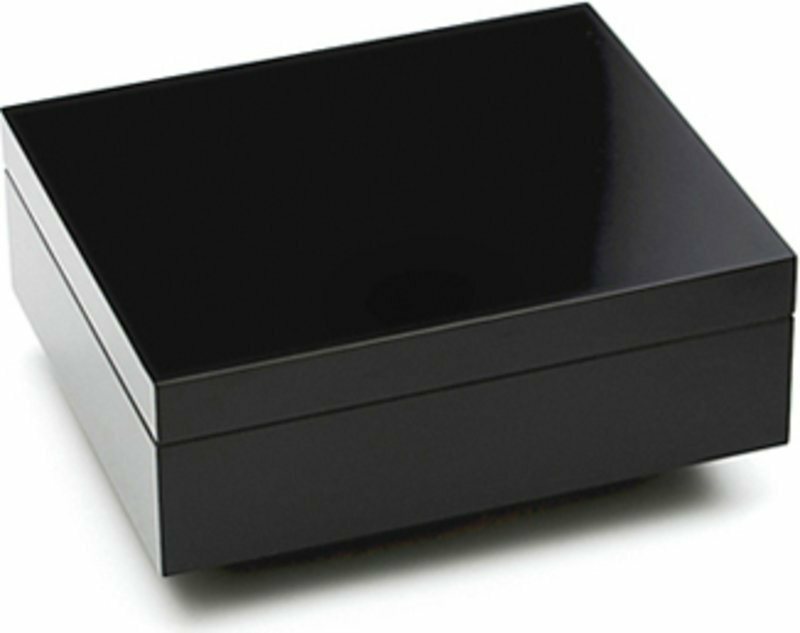 Very noble and yet inexpensive version of the adorini Torino humidor. Easy to prepare and make it work with good documentation as to how. Transport and delivery were exceptionally good and tracking enabled me to follow it at every step. My cigars are in good hands in the Torino Deluxe. Thank you! Very nice humidor!! Looks nice and you can easily fit 30-50 cigars in it. I recommend this to anyone who wants to buy their first humidor.